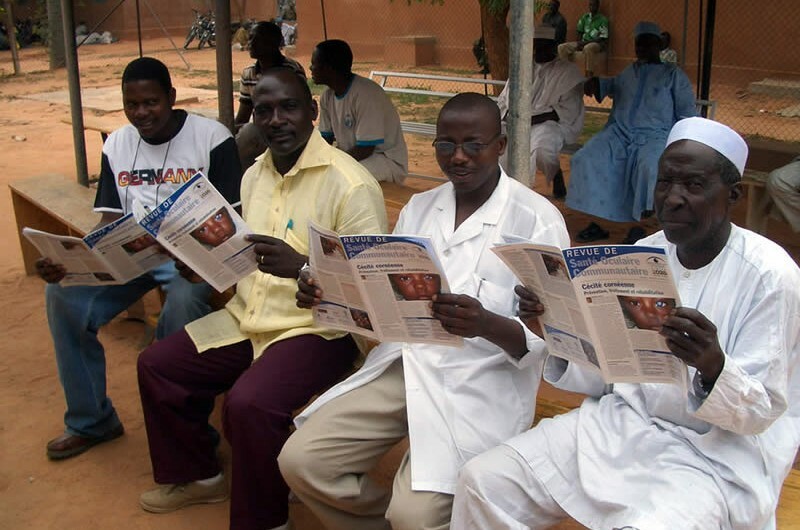 Winner of the 2011 Community Eye Health Journal Photograph Competition: Four nurses reading the French edition of the journal. NIGER. © Andrew Potter. We accept submissions of 400 or 800 words about readers’ experiences. Contact: Anita Shah at correspondence@cehjournal.org. The Community Eye Health Journal does not charge for article processing or submission. Remember to read the Author guidelines before you submit. Do you have colleagues who find it difficult to access the journal website? Send their details to Anita Shah at admin@cehjournal.org and we’ll make sure they get their own personal copy of the journal. We’re always interested to hear what our readers and supporters have to say about the journal. Contact us to send in your news, notices and recommended resources for other readers. You can also now engage with the journal through your favourite social media. We are active on Facebook, Twitter, Flickr and LinkedIn. Contact us to send us your eye care photos for publication in the journal and our Community Eye Health Flickr Photostream for other eye care professionals to use in their presentations, teaching and training. Don’t forget to get Patient Consent if necessary.